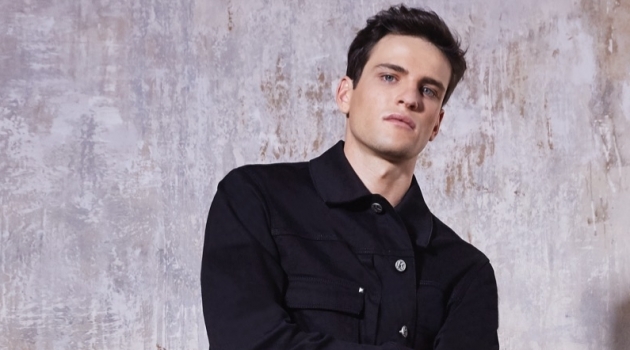 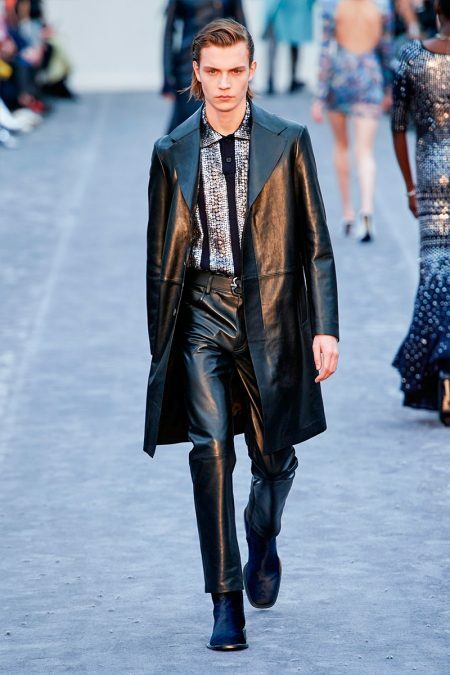 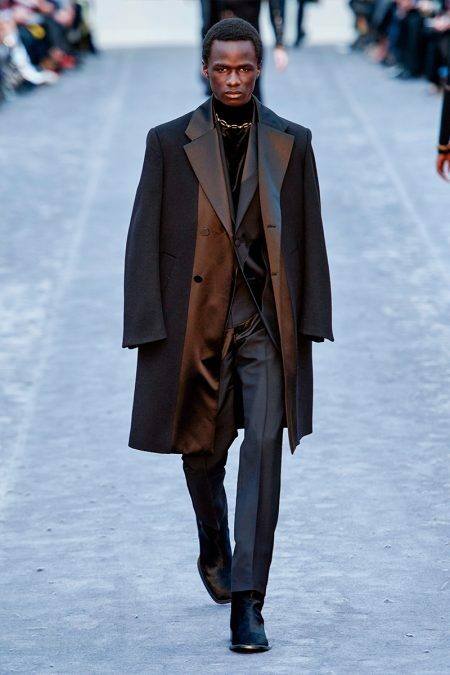 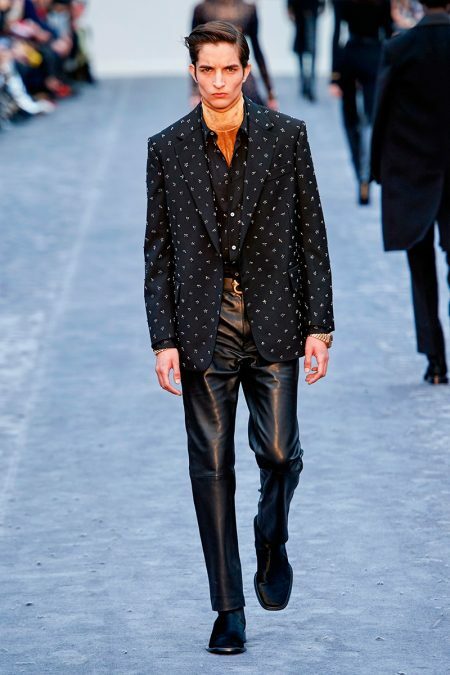 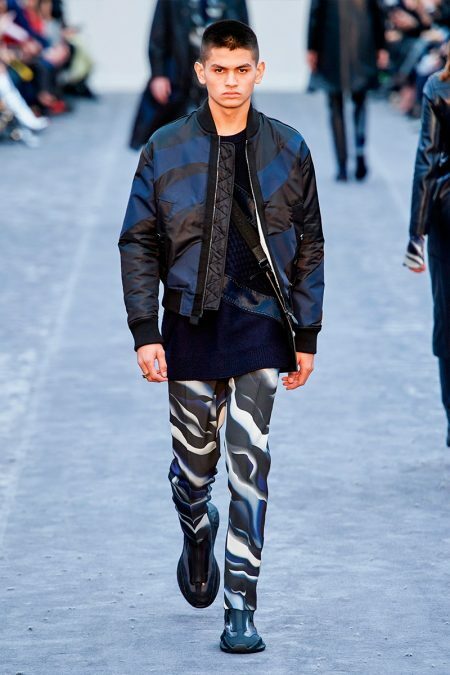 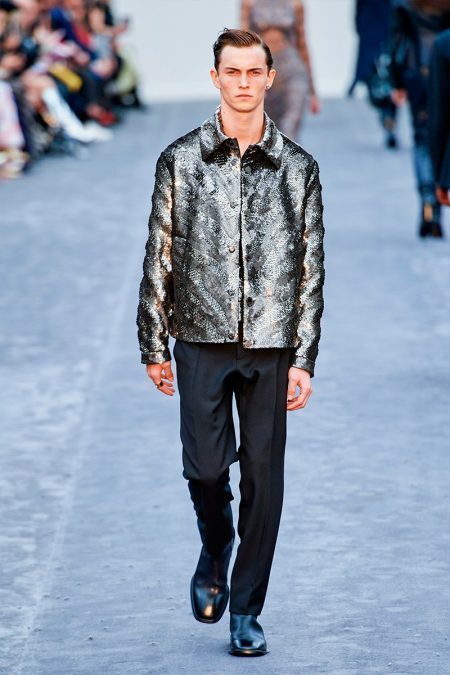 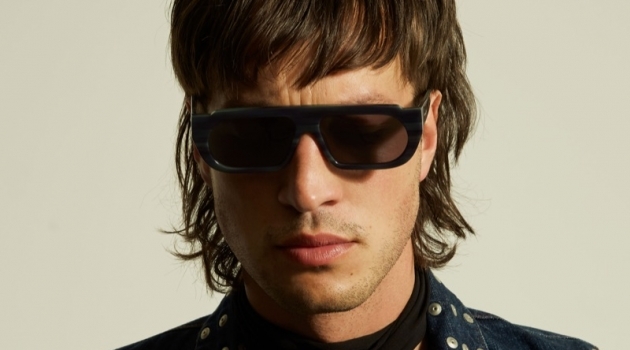 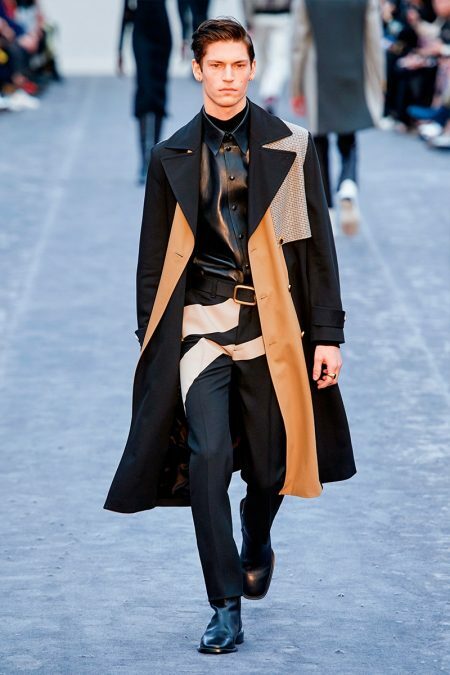 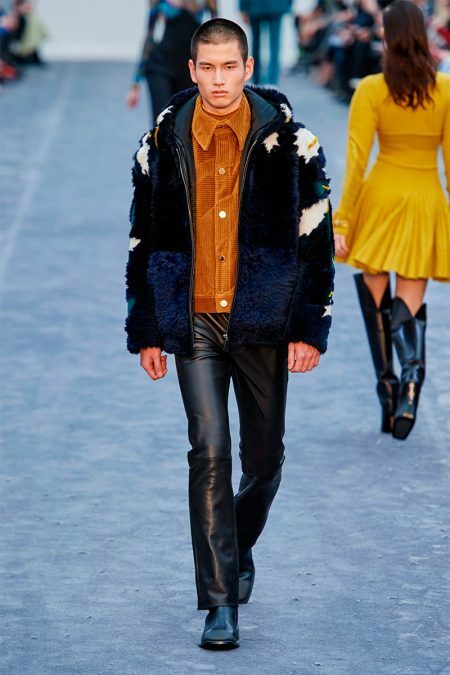 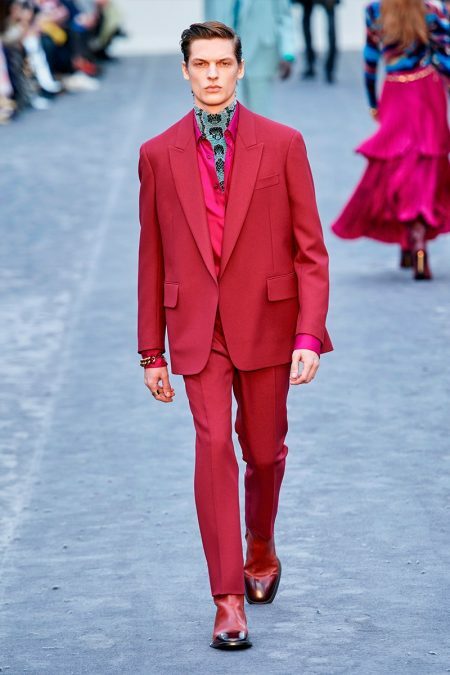 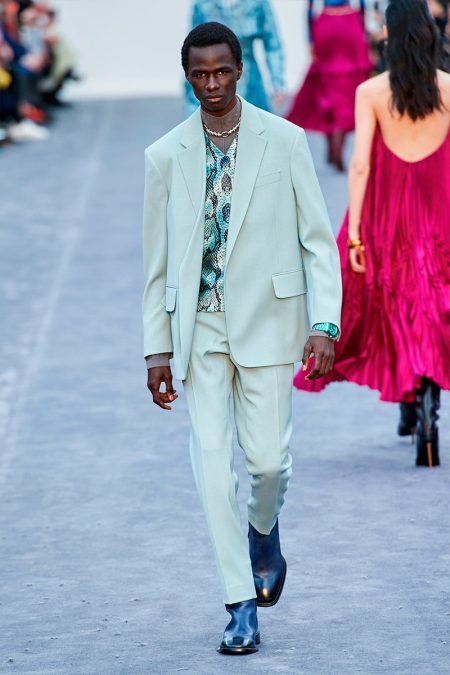 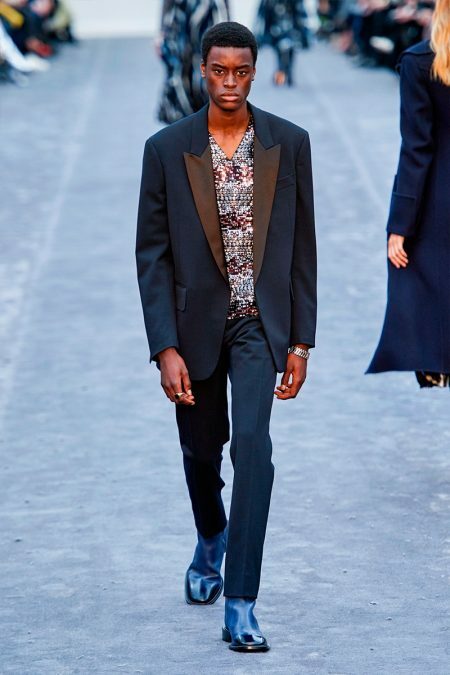 Paul Surridge's role as creative director brings a sensible aspect to the provocative wardrobe of Roberto Cavalli's man. 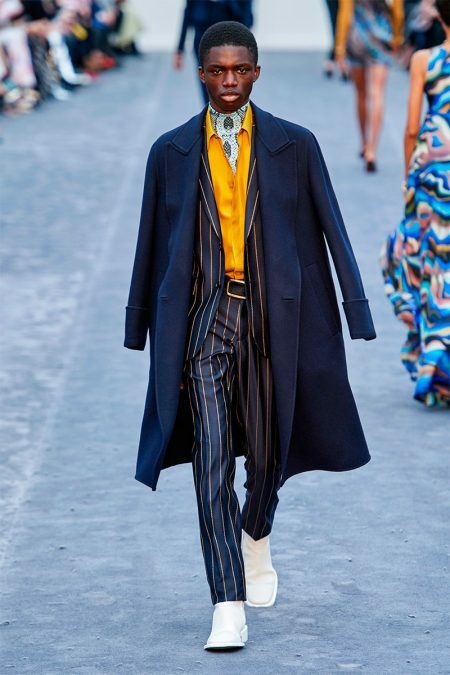 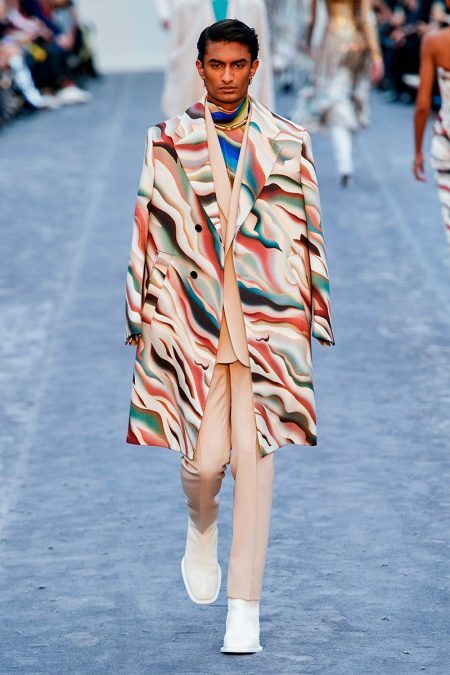 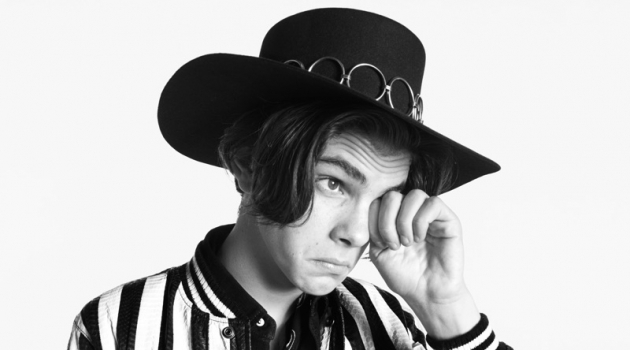 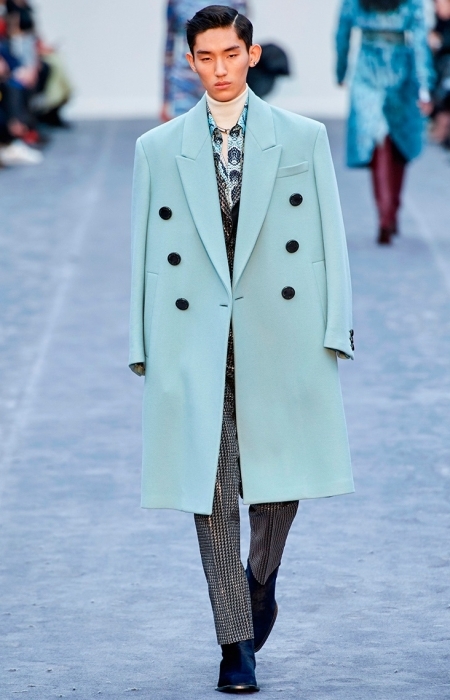 Whereas the Italian fashion house is known for its loud and boisterous prints, Surridge boasts a reputation for his impeccable tailoring. 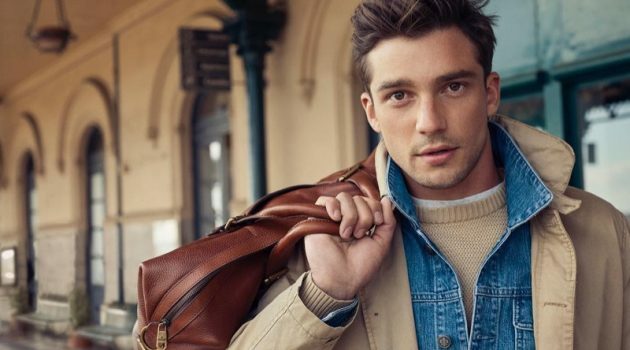 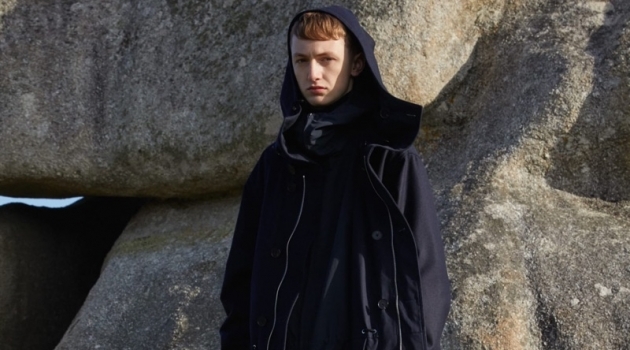 Together, the traits create a balance of classic and statement-leaning menswear. 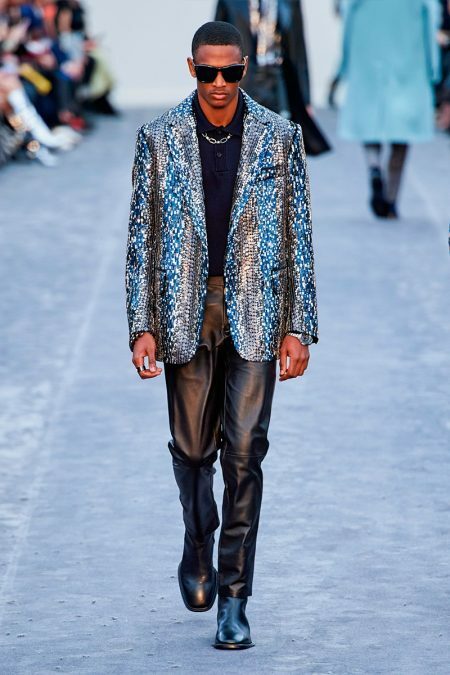 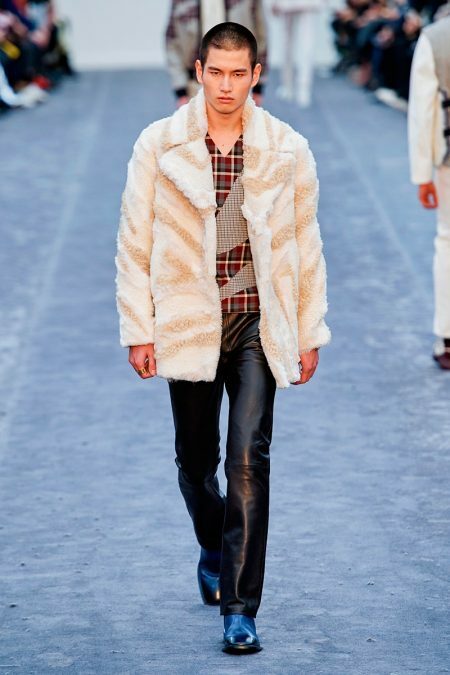 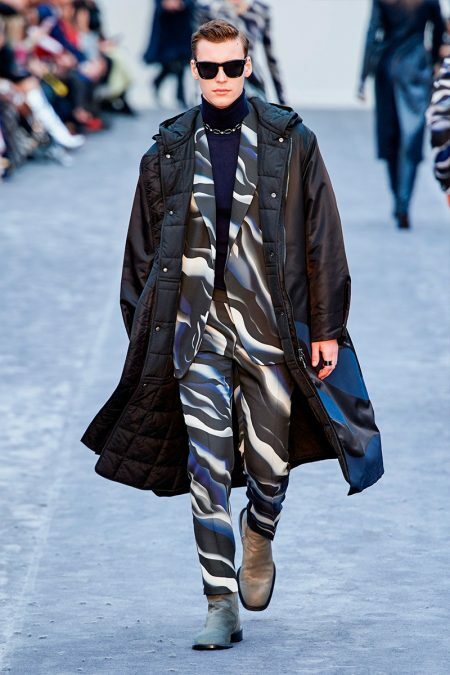 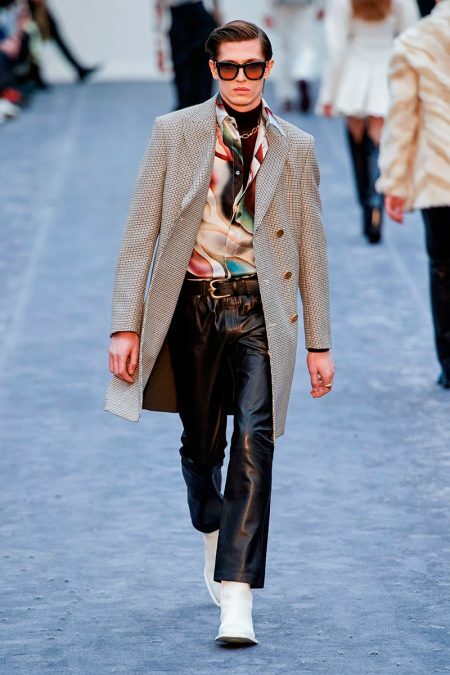 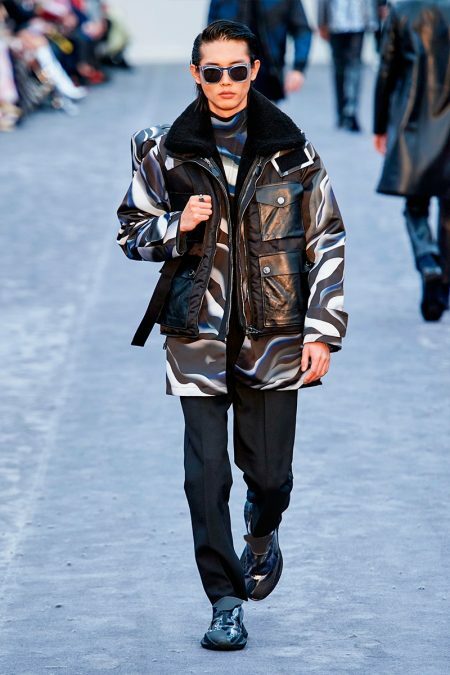 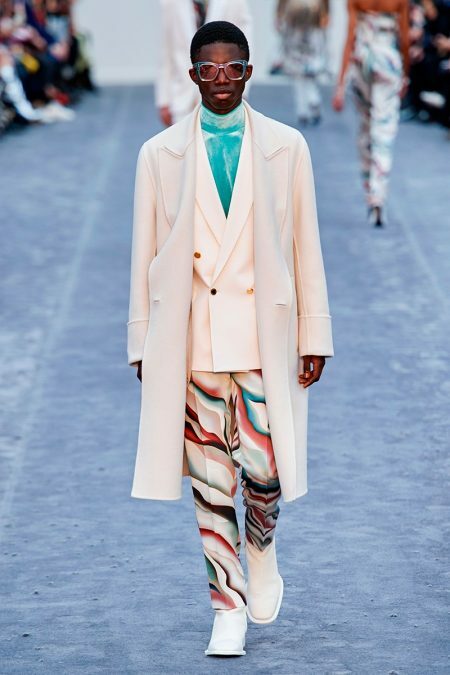 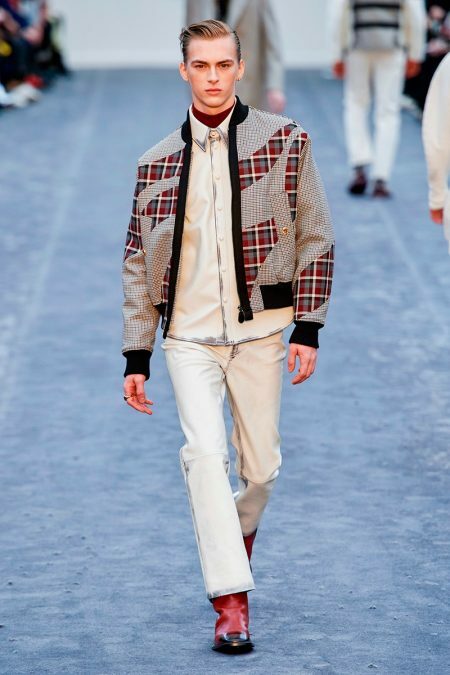 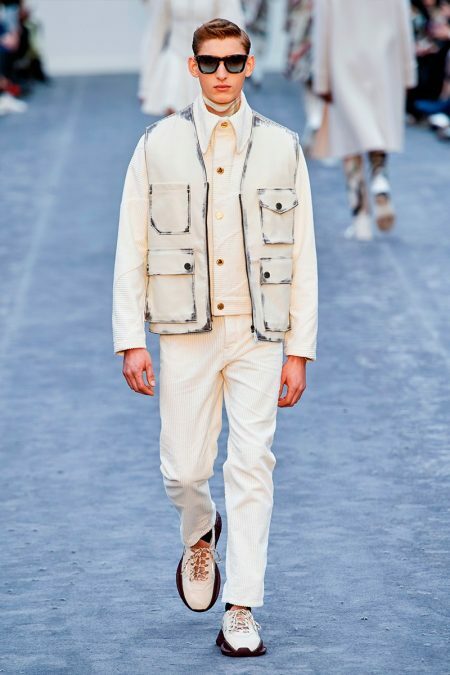 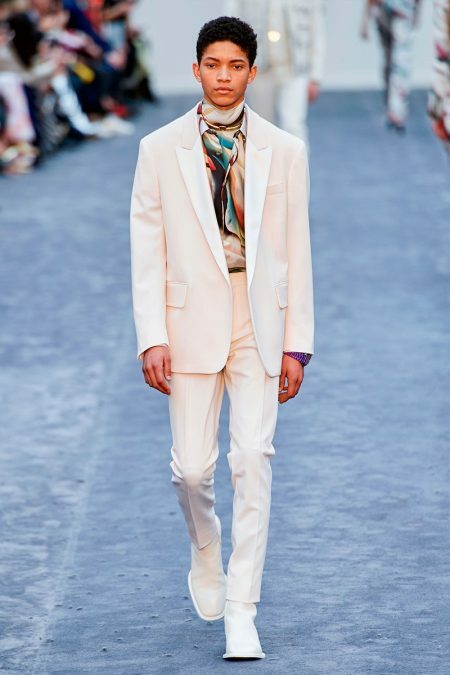 Approaching his fall-winter 2019 collection, Surridge brought out a softness to the Cavalli man with the use of soft hues, relaxed tailoring, and abstract prints. 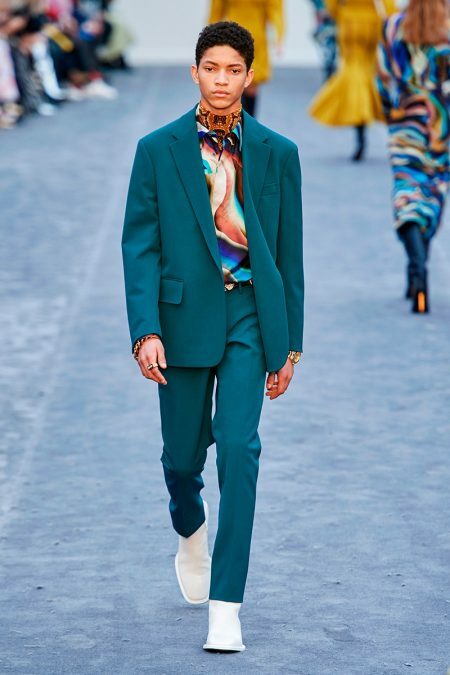 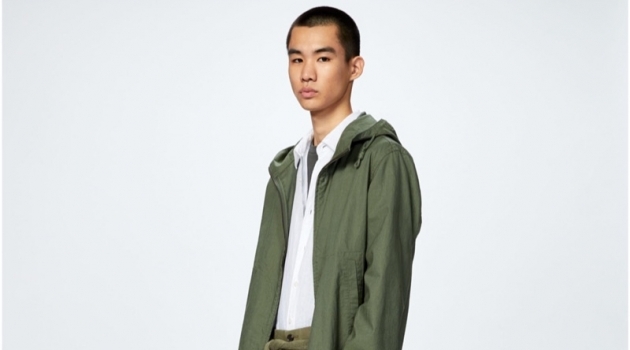 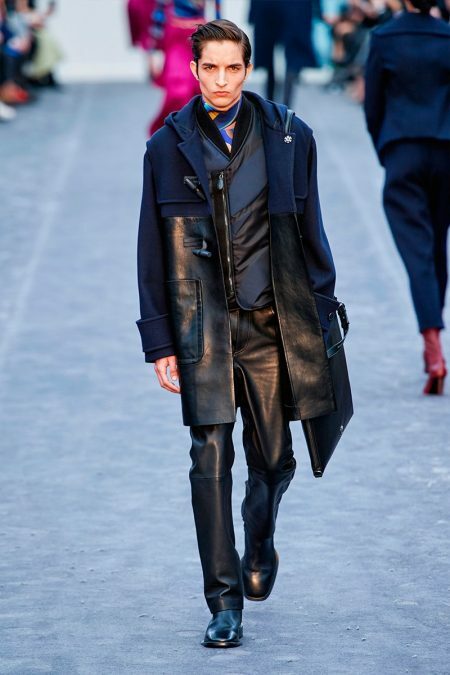 Here, the bold use of leather offered a rebellious contrast to elegant takeaways like a cream double-breasted jacket or sage green suit.